Equipping merchants with barcode scanning accessories can be expensive. 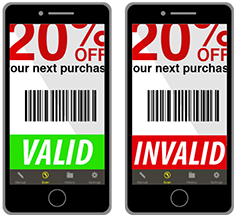 With codeREADrs’ coupon scanner app, it’s easier than ever to redeem coupons – they can use smartphones and tablets, just like the ones they already own. Instant online or offline coupon validation. Scans are instantly validated against a database of coupon IDs stored on the device, on our server or on yours. Valid, Invalid, Invalid Duplicate, or conditional validations. With or without Internet connectivity. Survey and opt-in customers with customizable fields for text or voice entry plus drop-down menus and photos. 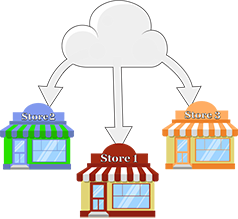 Allow your merchants to collect data after each scan. Use it for reconnecting with customers or simply for surveying customer how satisfied a customer is. Manage countless programs and locations with custom workflows and issuing app credentials. Create redemption services by merchant, brand, locations, dates, time or duration. Control by assigning unique app usernames to each merchant. Stop duplicate coupon redemption without needing a database. Redeem one-to-one or use pattern validation to eliminate duplicate redemption without a database at all, even with millions – or billions – of issued coupon codes. 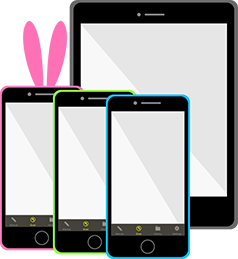 Your merchants can use new or refurbished smartphones and tablets. but if they already have scanning accessories, they can use those, too. Fastest barcode scanner in the industry. Our coupon scanner app turns iOS and Android cameras into lightning fast barcode scanners so there no need to buy new scanning hardware. When offline, auto-sync to cloud in background. Slow or unstable Internet connections? 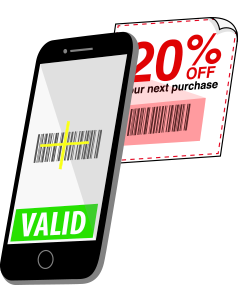 The app will validate coupon IDs offline and sync scans and databases totally in the background. Merchants can use their own smartphones and tablets. 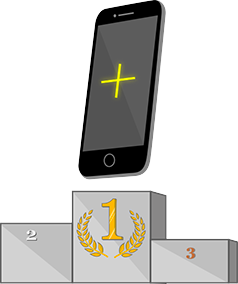 It’s ideal that your merchants use their own smartphones or tablets to minimize capitalization costs for coupon redemption programs What you may find is they are already using those devices in their business. Consumers can wave their coupon in front of mounted iOS and Android devices.  The front-facing camera will scan the barcode and validate even when unattended. After each scan you can prompt the consumer to enter information, such as their email address, preferences or opinions on you products and services. 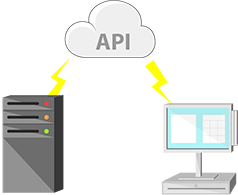 Integrate your offers and third party databases with API’s. Use our API to retrieve scan records and automate the insertion of coupon IDs to our cloud servers – or validate directly with your servers or third-party servers. White label option for your own coupon scanner app. Service providers can freely brand the app and even upgrade to a full white label version including your own app store listing and icons on the merchant’s devices.